Riot Games released the multiplayer online battle arena League of Legends in 2009. Players will play the role of summoner and control champion that has unique skills, powers, and abilities. The goal is to battle with other players’ champions or computer-controlled champions and destroy the enemy’s Nexus. There are more than 100 champions to choose from, and each one would have their own unique set of skills, abilities, and power. One of the heroes is Annie, the Dark Child. Annie is a child mage that possesses pyrokinetic power, which means her power is associated with fire. Annie is also one of the original champions of the game. The developers of League of Legends have already released a lot of different skins or costumes for this champion. 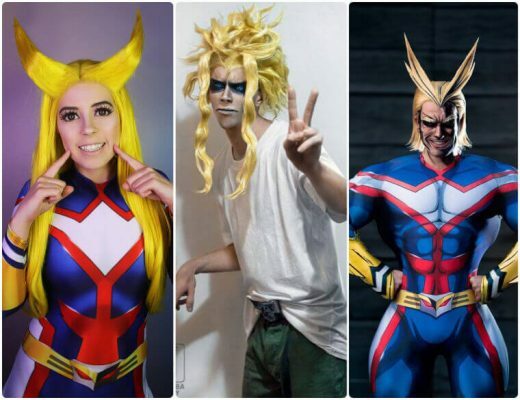 It provides people who want to cosplay Annie a lot of different options to choose from. 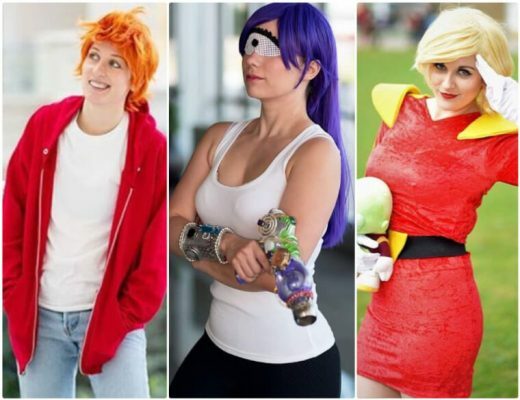 This article will be an Annie cosplay guide. Annie is one of the first champions that came with the release of League of Legends. She is a mage that has powers associated with fire. It also means that she is a ranged champion, which means she fights at a distance. The developers already came out with several skins or costume for this champion. 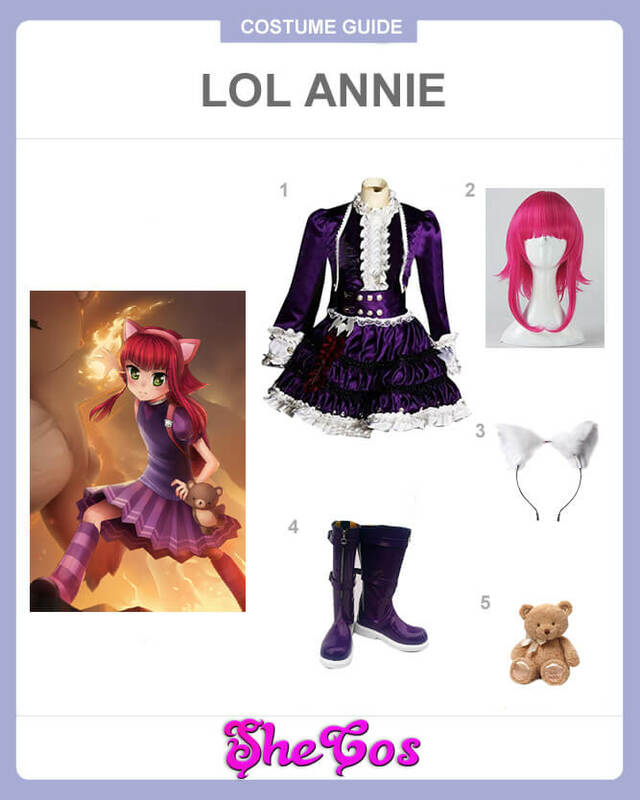 For this Annie LOL cosplay set, you will get the rare and limited skin, the Goth Annie. The suit will come with the full costume, which is an old style long-sleeve white top with a dark purple coat on top of it and an old style dark purple skirt. The cosplay set also comes with purple boots, cat ears, and a short pink wig for the champion’s hairstyle. The list also consists of Annie’s well-known accessory and companion, a teddy bear called Tibbers. Annie is labeled as The Dark Child because of her tragic past. The hero’s fire powers manifested early in her childhood and likely caused the death of her birth mother. Her powers usually come out during an emotional outburst. One outburst has caused the death of her father and her stepmother. Her ability is also the one that turned her teddy bear Tibbers into a fiery beast. As one of the champions of League of Legends, Annie is also one of the youngest, as she is a child in the game. If you look at the Annie cosplay photos, you can see that the appearance of this champion is that of an innocent child. That is especially true because her most prominent accessory is Tibbers, the teddy bear. Despite looking like an innocent child in appearance, you can also see from the mischievous and devilish look of the champion that she is not someone you would want to mess with.